Justice For Iran – 20January 2015: Atena Farghadani is a 28-year-old Iranian painter and civil activist who expresses her opinions through works of art. Atena was first brought to Evin on 23 August 2014 after being arrested in her house in Tehran. Initially, she was held and interrogated with no access to her lawyer and family. She was questioned about her meetings with the families of people who were killed during the protests that followed the disputed 2009 presidential election in Iran. She was asked about critical writings on her Facebook page. This included a satirical cartoon depicting members of Iranian parliament as cows and monkeys. 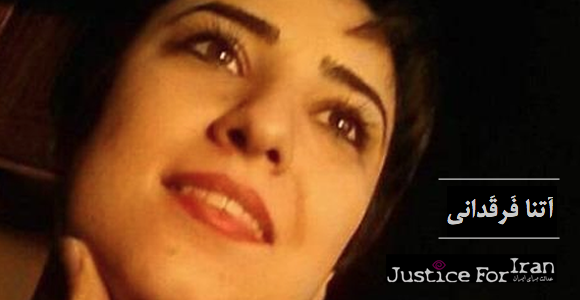 On 2 November, Atena was released on bail. Justice for Iran spoke to her after her release and documented the numerous cases of human rights abuses against her, detailed in the report below. These included an arrest without warrant, torture, denying access to health care services and legal assistance while being held in Evin prison. Other violations occured after she was freed from prison. She was prevented from continuing her university studies, threatened via phone and summoned to court illegaly by phone calls to her home. Atena´s publishing of a video on 28 December 2014 on YouTube, in which she describes how she was subjected to an aggressive strip search and beaten for smuggling used paper cups to her cell, led to her being summoned to Tehran´s Revolutionary Court on 10 January 2015. While there, she was rearrested, beaten by security agents and sent to Gharchak prison in Varamin. Atena Farghadani was arrested on 23 August 2014 on her way from hospital where she had been treated for a hand injury. Before the arrest itself, she had received telephone threats from security officials. The 12 officials, who arrived to arrest her, declined to present an arrest warrant, a permission for home search or a permission to take away property. Subsequently, they failed to produce a list of the items they had seized in her flat. “They took my books, a laptop, tablet and my mobile phone, put them in a sack and took these away without writing them down on a list. They said to my parents: your daughter will be back home at 12 pm tonight. Later, they used the same tactics to keep the family quiet during my whole time in detention: the interrogator called my parents twice every day telling them ´your daughter will be out in three days´,“ Atena added. Not informing Atena which security or law enforcement agency detained her and to which prison she would be transferred constituted another breach of her rights. Although torture is prohibited under the Iranian constitution, Atena Farghadani spent 15 days in solitary confinement during her detention. On 17 October 2014, she went on hunger strike after she was beaten and harrassed in her cell. Later, she sent complaints about this incident to various Iranian officials, but these were ignored. For this reason, Atena posted a video on YouTube in December 2014 after her release, where she explains her mistreatment at the hands of prison guards. She was subjected to an aggressive strip search and beating after prison guards discovered she had tried to smuggle a few paper cups under her clothes from the bathroom to her cell to paint on them. In the video, Atena describes how female prison guards asked her to strip naked for a body search while insulting her. When she resisted the search, she was beaten, her wrist was bruised and her chest scratched. “One of the women, the one who kept insulting me, held my arms up because I refused that they strip-search me or remove my clothes. I had my right arm slammed against the wall and my wrist was heavily bruised and swollen. One of the guards searched my upper body. She did not find anything but she left visible scratch marks on my breast. The other woman started searching my lower body. I disagreed. I said I am on a hunger strike. I am on a dry hunger strike. I will file a complaint. But they restarted insulting me. [One of the guards] raised her hand on me, and said shut your mouth or I will knock your teeth out. At that point one of the women turned to me and said ´I wonder which brothel they brought you here from´. I felt humiliated by the way I was treated,“ Atena said in the video. She also alleged that cameras are planted in the bathroom and toilet of the prison, despite the guards denying this. During the interrogations, Atena was never tortured herself. However, she regularly overheard the sounds of men suffering from beatings in the adjoining rooms. Atena was allowed to be visited by her family for the first time only two days before her release on bail. Receiving a visit from her family was among Atena´s demands to end her hunger strike. Atena went on hunger strike to gain access to her family, ask them to publicize her case and reveal the mistreatment she was subjected to while in detention. These articles enclude the right of detainees to contact and meet with their families. Iranian law on “Respecting Legitimate Freedoms and Civil Rights“ also reserves the right of families of detainees to be informed about their condition. Atena Farghadani was arrested on the same day after her discharge from hospital with a hand injury. During her time in prison, she did not have adequate access to health care and suffered from an infection in her hand. Despite this, while being transferred to hospital, security guards locked her injured hand into a pair of handcuffs and removed it only after her objections. Atena added in her interview with JFI that during the first ten days of her hunger strike, the authorities in prison did not pay any attention to her health and she had no access to a doctor. It was only after the news of her hunger strike broke out that her blood pressure was measured by a doctor. She was threatened she would be transferred to Gharchak prison in Varamin where the conditions for prisoners are even worse, if she refused to end her protest. When, in the last days of her hunger strike, her condition deteriorated and she started to have difficulty hearing and was losing her consciousnes, her fellow prisoner Ghonche Ghavami asked for a doctor. But the male doctor initially refused to attend to Atena on the grounds that she was not wearing a full Islamic hijab and covering her body. „Getting access to the toiled was also very difficult. The guards deliberately subjected us to long waiting. Sometimes I had to sleep on my abdomen to withstand the pressure,“ Atena says. When sharing a cell with Ghonche Ghavami, the room was so small they either had to curl up their legs while sleeping, or stretch them out of the cell under the door. “On top of that, the room was full of ants which were biting us. Ghonche´s body became all red from these bites and she got hives/rash,“ Atena said. In the time before Atena was sentenced, the attitude of the court and the judicial system fell short of both domestic and international standards of justice. She describes how she was taken to court two days before her release, in order that an amount of her bail could be set. Judge Salavati warned her that her case includes a charge with blasphemy and that he would keep her in jail for so long that “the grass under her feet turns green“. No such charge has ever been brought against Atena. After Atena Farghadani opposed to Salavati´s remarks about the victims of protests in 2009, Judge Salavati raised her bail of 600 million tomans (1 toman=10 Iranian Rials) to 1,2 billion tomans. Summoning Atena to court via phone, as well as phone threats to her and her family by the judicial authorities, constitute other human rights violations in this case. “Two hours after I posted the video (about the conditions in Ward 2-A) online, Tehran´s deputy prosecutor made a phone call to our home and said to my father: ´You, your family and your daughter will see the consequences of the release of that film and her sentence will be heavier, too´,“ Atena said to JFI. Paragraph (v) – Preliminary investigation of all crimes is the responsibility of the prosecutor. During the detention and after her release, Atena Farghadani sent numerous letters of complaint to authorities and officials of the Islamic Republic demanding an investigation into the incidents of her human rights violations but has not received a single response. Her complaints to the prison guards were to no avail either. Iran’s Supreme Leader, the President, the Parliament, the Secretariat of the Expediency Council, the Prosecutor General, the Chief Justice of the Supreme Court or the head of Evin prison are all among the officials and institutions that the activist has sent a protest letter to. She also complained in person to some of these bodies, as well as to some MPs including Ali Motahari. A copy of her letters got into the hands of the security forces. Her interrogator reprimanded her in a phone call. “Did not we tell you we would follow the case of your harassment by those two female guards ourselves? We have reported these issues to the head of the detention center and your injuries were verified. Why do you complain? And he began to read from a letter I had written to the authorities. At that moment I realized that the letters got into the hands of the interrogator,“ Atena described. 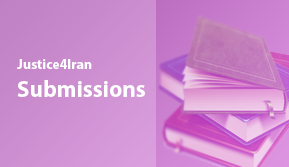 Article 34 of Iran’s constitution: Justice is the right of every person and anyone can refer to competent courts in pursuit of justice. All citizens have the right of access to such courts. No one can be forbidden from access to court he is entitled by law to recourse to. Article 26 of the Universal Declaration of Human Rights: Higher education shall be equally accessible to all on the basis of merit. According to the investigation of JFI, this unit bears the main responsibility for the identification, arrest and interrogation of Atena Farghadani. In order to hide their identity, the names of the guards and interrogators from Ward 2-A of Evin Prison, which is under the control of the Revolutionary Guards, have never been made public. They must be held accountable for arbitrary detention of Atena, denying her access to lawyers and relatives, invasion of her privacy and infringement on her citizen rights. Two officials of Ward 2-A of Evin Prison must be held accountable for beating Atena, harassing her and insulting her on 17 October 2014 after discovering she used paper cups she found in the prison bathroom and brought them secretly to her cell. Several other officials must be held accountable for denying her access to essential health care and hygiene facilities such as toilet during the time her detention and mistreatment of her during transport to hospital. Alireza Khorshidi is the man who charged Atena with “spreading anti-regime propaganda“, “acting against national security“, “gathering and colluding with anti-revolutionary individuals and a subversive sect (the Bahai religion)“, as well as “insulting the officials of the Islamic Republic“ on the grounds of her civil activism and art work. Therefore, Khorshidi must be held accountable for violating her right of freedom of expression. 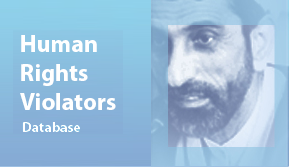 Khorshidi has been in charge of investigating and levelling accusations against numerous other political prisoners in Iran. In many of these cases, he violated human rights of detainees. Abolghassem Salavati must be held accountable for subjecting Atena to pressure when choosing a lawyer, threatening her with prolonged detention because of her speeches in court, doubling the set amount of bail, illegal phone calls to Atena´s home and summoning her to trial orally. Judge Salavati is known among Iranians as “the judge of death“ for his heavy sentences in several “show trials“ after the presidential election in 2009. He issued long prison sentences for more than 100 political prisoners, human rights activists and protestors and sentenced two members of pro-monarchist groups to death . Currently, he is also in charge of the case against the Iranian-American journalist Jason Rezaian, the Washington Post correspondent in Tehran, who has been accused of espionage in Iran. The European Union put Salvati on a human rights sanctions list in 2011 because of his role in widespread and massive violations of human rights. He is not allowed to enter EU territory and his assets in Europe have been frozen.